I had already made up my mind that yesterday’s 5k would be my last for 2015, but I went online this morning to check my time, and now I can’t wait for next year! 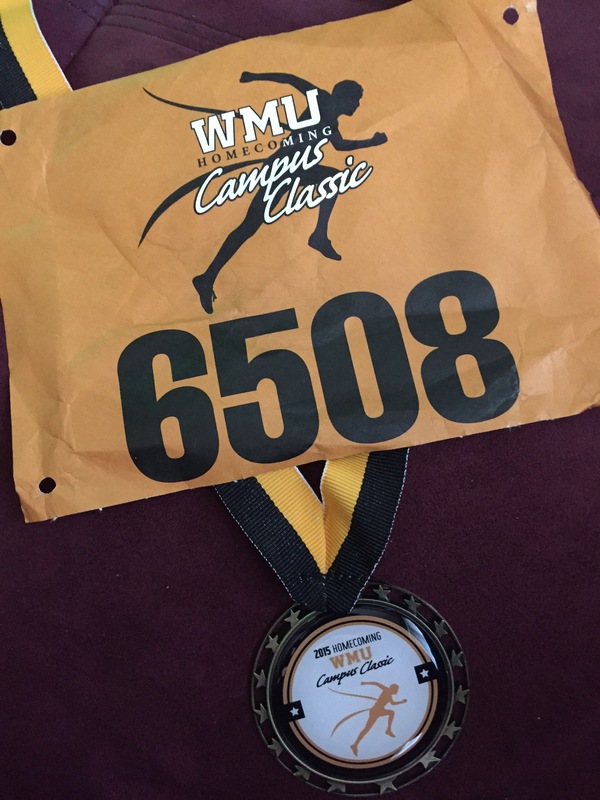 Last year, in my first WMU Campus Classic and first EVER 5k, I was quite proud of my time of 00:36:07. Exactly 1 year later, I was able to trim a full 2:06 off that for a finishing time of 00:34:01!!! In 2016, I fully intend to do the Big House 5k again, the Borgess 5k, and take another swing at the Park2Park Half Marathon. But I also hope to try a 5k in Traverse City, Michigan, and would LOVE to be able to do the Detroit half that goes across the Ambassador Bridge. Whatever happens, I plan to do the Campus Classic every year, as an annual celebration of my decision to get healthier!